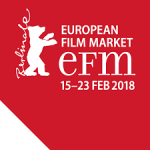 Canada was the country in focus at this year’s European Film Market and Lost Journey Productions participated by meeting several sales agents and showcasing its 2018 production slate and latest projects. The company was able to secure equity financing for a yet to be titled VR documentary project that will combine narrative story telling with interactive VR elements to be filmed in the Amazonian region of Columbia. “Marooned” gains interest from Warner Bros.
Lost Journey’s in development Sci-fi / VR series Marooned gains traction at MIPCOM 2017 with executives from Warner Bros. Digital Networks expressing interest in the IP and script. The network is looking to acquire digital and VR content to build the Studio’s digital video services content and grow Warner Bros.’ direct-to-consumer capabilities. The IPF (Independent Production Fund) announced the successful candidates today for Phase 1 of its Web Series Program. Lost Journey Productions Inc, was among the 17 successful applicants for it’s new innovative Sci-fi series The Vault. Over 187 applicants had applied. The Vault, will now compete in Phase 2 for potential production financing. Lost Journey Productions Inc. was recently featured in Screen Daily during the 2016 AFM. The article covers the prodco’s 2017 development slate and a co-production deal struck with Formula Features during the market to produce a new digital series.